Our modern society is inflammatory by nature. Out-of-control inflammation is the natural result of fast foods, processed foods, a toxic environment, high stress levels and lack of effective exercise. Inflammation is a major factor in all of the most deadly diseases. Heart disease, cancer, stroke and diabetes affect the lives of millions of people as a result of this inflammatory lifestyle. An Anti-inflammatory diet is not about eliminating inflammation. We need inflammation to heal normally. It is about bringing inflammation back into balance and allowing our body to heal naturally, the way it is designed. The most important thing to focus on in the process of healing inflammation, as well as any disease process, is that it is about LIFESTYLE. There is no quick fix or magic three week diet. It is about living a life that creates health. However, just as importantly, you do not have to make these lifestyle changes overnight! When you consume sugar, your body releases insulin. Insulin is a hormone that helps guide sugar molecules into your cells where it is turned into energy. However, when you consume excess sugar, including grains and refined carbohydrates which your body quickly converts to sugar, your body produces excess insulin in an attempt to deal with this onslaught of sugar. This leads to insulin resistance, causing excess inflammation throughout the body. This causes accelerated aging, elevated cholesterol, hypertension, congestive heart failure, diabetes, osteoporosis, thyroid problems, and many other metabolic syndromes. White sugar and refined carbohydrates should be completely eliminated from anyone’s diet who desires to conquer disease and achieve wellness. Even healthy, unrefined grains, such as whole wheat and brown rice should be eliminated until the disease process is overcome. Once you are maintaining good health, unrefined grains can be consumed in moderation. Supercharge Tip: Use quinoa in place of grains. It is actually a seed that has the consistency of a grain. It does not impact your blood sugar negatively as grains do. All diseases (from bacterial and viral infections to cancer) thrive in an acidic environment. However, your body is designed to express great health in a slightly alkaline environment. Consuming acidic foods and beverages creates an acidic internal environment in your body. This leads to increased systemic inflammation and disease risk. Sugar, refined carbohydrates and damaged fats, are not only primary sources of inflammation but also create acidity in the body. Other acidic foods include all conventional meat and dairy products, soda, salt, caffeine, and alcohol. These must be avoided or at least strictly limited if the goal is beating inflammation and achieving wellness. Supercharge Tip: Blend your own green juice, smoothie or protein shake every morning to boost your antioxidants, probiotics and anti-inflammatory effects. Research shows that trans fatty acids cause increased systemic inflammation by altering your body’s normal metabolic processes. There is much confusion and much hype about fat in our diet. The FACT is that every cell in your body is composed of an outer layer of fat and nerve and brain cells are composed of nearly 100% fat. Therefore, your body requires fat. There are even some fats that your body cannot produce on its own and requires them to come from your diet. These are called essential fatty acids (EFA). It is not about whether or not you consume fat, it is about what kind of fat you consume. Consuming damaged, easily oxidized fats will cause an inflammatory response, continuing systemic inflammation in your body. Examples of unhealthy fats include trans fats, canola oil, vegetable oil, soybean oil, sunflower oil and safflower oil. Other unhealthy sources are fat in fried foods, fat in commercial meats and dairy products, and overheated healthy fats (such as cooking with olive oil). 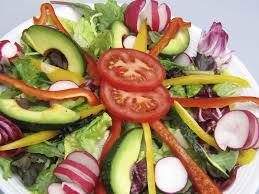 Conversely, consuming healthy fats every day heals damaged cells and balances inflammation. Healthy fats include coconut oil, olive oil, whole avocados, flax seeds, Chia seeds, and fish oil and krill oil. Nuts (walnuts and almonds especially) contain healthy fat, as well as, fiber and vitamin E.
Supercharge Tip: Do not cook with Olive oil. It turns rancid at cooking temperatures. Use coconut oil or grape seed oil instead. Eliminate commercially raised animal protein sources. All beef, pork, poultry and fish sold in typical supermarkets or restaurants are raised in a manner that causes toxins to build up in the meat and fats of these animals. These commercial animal raising practices also deplete all healthy fats from these animals. Additionally, they are given a steady supply of antibiotics and steroid hormones. When you consume these animals, you are consuming those toxins, antibiotics, and hormones as well without getting any of the healthy omega-3 fats that should be there. This has a toxic and inflammatory effect. It also causes havoc with your body’s own hormone production and metabolism. If you choose to consume animal protein, it must absolutely come from organic, grass-fed sources. Also, because the body does not store much protein, excess protein is converted to sugar as well. So the amount you consume should be strictly moderated. Animal protein should be limited to 2-3 servings per week. If you are following all of these recommendations and find that you are still experiencing weight loss resistance or other symptoms, it is likely due to consuming too much protein. Supercharge Tip: All vegetables have protein. In fact, calorie for calorie, spinach is more protein rich than beef. While 100 calories of ground beef has 10 grams of protein, 100 calories of fresh baby spinach has 12 grams. All commercially produced dairy products such as milk, butter, cheese, and yogurt are generally inflammatory as well. They are processed and pasteurized (heated at very high temperatures). This process is what destroys the protein, fat, and calcium that dairy is often promoted for. Raw, organic dairy products may be okay in moderation. However, your body has no nutritional need for them and it is best that you eliminate them completely. Supercharge Tip: Use Almond milk as a substitute for dairy milk. It is easy to make at home. You can also buy it in most grocery stores. Just be sure that it is carrageenan-free(2). Also remember that the richest sources of calcium are dark green leafy vegetables. Allowing toxins into your body causes internal injury very similar to an external injury such as a cut on your skin. For this reason, toxins are major contributors to inflammation and many diseases. We live in a world of toxicity. Most of us are exposed to more toxins than we ever realized. Here are some common sources: all artificial sweeteners, chemicals in processed foods, vaccines, all medications (whether prescription or over the counter), MSG found in food, pesticides applied to traditional produce, traditional cleaning chemicals, and typical personal care products (deodorants, shampoos, cosmetics, etc). These toxins must be eliminated. I am not suggesting that you stop using deodorant or cosmetics but there are non-toxic, healthier organic alternatives. Eliminating toxicity completely is not realistically possible but is must be addressed. However, all of the toxins listed above need to be eliminated as much as possible. Adopting an anti-inflammatory diet and incorporating Metabolic Conditioning Exercises/ HIIT exercises will help your body detoxify naturally on a daily basis. Supercharge Tip: Eat one avocado everyday. Avocado has one of the highest glutathione concentrations of all foods. Glutathione is the master detoxification molecule in the human body. Your body is made up of 75% water. Proper hydration – while often overlooked – is extremely important for balancing inflammation and ridding your body of toxins. Much of the typical foods and drinks you consume – as well as medications – also have a dehydrating effect. Supercharge Tip: Set your minimum goal at 33 ml of water per kg of body weight for proper daily hydration. Eg. If you weigh 65 kg, you should be drinking 65 x 33= 2145 ml (2.15 litres) of water daily. The richest source of Omega-3 fats are fish oil and krill oil. These should be included if you are dealing with extreme inflammation or serious disease. However, there are great plant-based sources that should be included as well. These include Chia seeds, flax seeds and nuts (especially walnuts). Supercharge Tip: Consume a variety of omega-3 sources for the best effect. Remember, your health is in your own hands, and its your own responsibility to take care of your own health. Money can buy you medicine, but it can’t buy you health. Living a healthy lifestyle is still the best way forward. Precaution is better than cure.